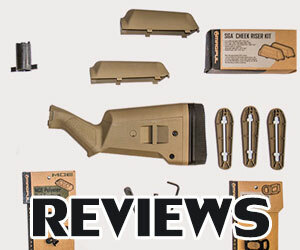 This Remington 870 Accessories and Upgrades Catalogue was created due to many requests from readers of the blog. There are many home defense, tactical, hunting, clay shooting and other accessories and upgrades available. Remington 870 shotgun is very easy to upgrade and enhance. It can be used for any purpose and you can choose upgrades accordingly. It is easy to get lost in many options available. One may install too many upgrades and shotgun will look tacticool. Such Remington 870 shotguns are often heavy and have many unnecessary bells and whistles. Fancy upgrades are often cost a lot, weight a lot but don’t add much. Other upgrades like Remington 870 barrels can dramatically change characteristics your shotgun. Shorter barrels recommended for home defense and tactical shotguns, longer barrels for competition shooting, trap or hunting. There are barrels made by Remington and aftermarket barrels, from Carlson’s for example. They are not too expensive and it is easy to buy them. Remington 870 upgrades forums available on this site. You can discuss what upgrades are worth the price and which are useless. Remington 870 Tactical model comes with some of the upgrades but there are many that can be added. For example, there are many tactical flashlights available for your shotgun. Flashlight is a must have for any tactical Remington 870. You can also choose 1-point sling, bigger safety button, sidesaddle and many other upgrades. Remington 870 Express usually comes without accessories and you have to choose and install them yourself. Upgrading your shotgun is fun. You can choose one of so many stocks, there are many types and colors available. There are pistol grip, recoil-reducing, folding and other types available. You can choose classic tactical black color or modern Flat Dark Earth or many other colors. Remington 870 Police is a beautiful shotgun that comes with some accessories but there are many good features you can add. One of the most popular upgrades is sidesaddle. This section was made to help you choose the best accessories for your Remington 870 of any model: Express, Tactical, Police, Magnum etc. If you are looking for a high-quality follower for your Remington 870 shotgun, then you can’t go wrong with the Nordic Components Shotgun Follower. This aftermarket follower is coated with Teflon which is a solid fluorocarbon that is water resistant, comfortable to the touch and very durable all at the same time. The Nordic Components Shotgun Follower is machined out of aluminum and will ensure that your shotshells will get fed smoothly from the magazine tube into the chamber. You can use it on either a 12-gauge or 20-gauge shotgun extension for the Remington 870. However, it is also made to be a universal follower which means that it should fit most shotgun extension tubes and not just Remington. There are a few exceptions, though. Apparently, the follower will not fit on a Browning BPS, Benelli Nova, Benelli SuperNova, FNH SLP, or Winchester SX2 or SX3 shotgun. But if you have a Remington 870, it will be more than fine for that. Whether you like to go shooting at a shooting club or hunt in the woods, this follower will give you the proper feed that you need to reload your chamber smoothly and get the shots out faster. 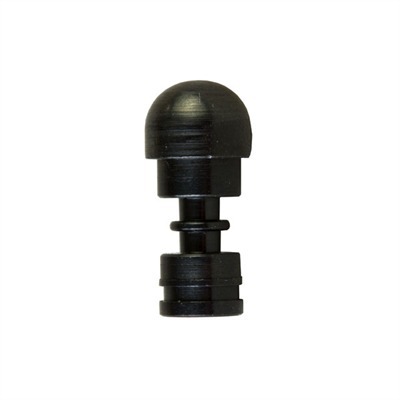 You can purchase a Nordic Components Shotgun Follower for $18.00 on Brownells. There are a lot of great stainless-steel magazine followers for the Remington 870 shotgun. But there are few as reliable and long lasting as the Brownell’s Stainless-Steel Magazine Follower. This follower is constructed with thick stainless-steel material that makes it heavy and durable. As a result, the follower will last for many years with regular use of your shotgun. The Brownells Magazine Follower is also compatible with Remington 870 shotguns that don’t have magazine extensions attached to them. As long as there are dimples on the Remington 870, you will be able to connect this follower because it has grooves which allow for an easy installation. 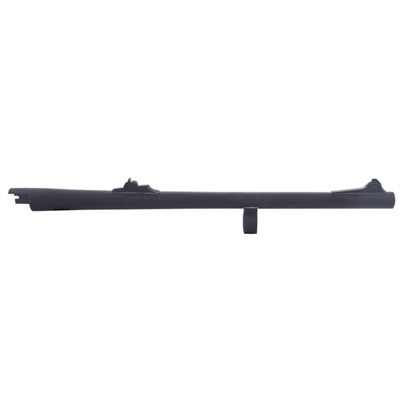 One aspect that certain groups of people like about the Brownells Magazine Follower is that its steel is thicker than the steel of the Vang Comp Systems Follower. The thicker the follower is, the longer it is going to last. The only downside is that thicker followers tend to be heavier, which causes the shotgun to be heavier. But if you don’t the little extra weight, then the Brownells follower is definitely the better of the two. The price of the Brownells Magazine Follower is $20.99 and it is made in the United States of America. This ensures that you are buying a firearm product that is 100% authentic and quality made. The Remington 870 shotgun comes with a factory follower that is less than perfect. With enough spring pressure and exposure to bad weather, the factory follower could break or rust if enough time goes by. That is why you should replace your factory follower with the Vang Comp Systems Follower because it will fix all these problems. Its stainless-steel construction will ensure that it won’t break under pressure and that it will last for many years when regularly using your weapon. The follower was constructed with ribs on its sides which allow its weight to be reduced. This, in turn, will take weight off the shotgun as you’re holding it. At the same time, it will still be a very powerful follower which will give you smooth feeds while allowing you to see the number of shotshells that remain inside the magazine tube. 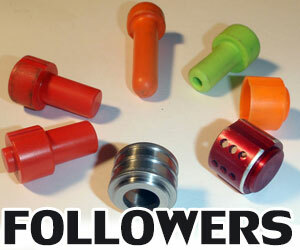 You will only be able to use this follower on most 12-gauge shotgun extension tubes, but preferably ones for the Remington 870 or the Remington 11-87 shotguns. If your tube only works with followers that have slots, then you won’t be able to use this follower on it. The cost of the Vang Comp Systems Follower is $18.99. If you want to make your Remington 870 into a tactical shotgun, then adding the Surefire Forend Light to it is the next best step to take. This light is very easy to install and you won’t even need to use wires or brackets to connect it either. All you need to do is remove the factory forend that came with your Remington 870 shotgun and then add the Surefire Forend Light in its place by simply performing a drop-in installation. The Surefire Forend Light is very powerful and its LED lighting can illuminate a clean and clear white light right in front of you. While most versions of the Surefire Forend Light deliver between 100 and 200 lumens, some will deliver as many as 600 lumens. Of course, you can expect to pay more money for the powerful versions like these. It is easy to switch between power modes on the forend because it has easily accessible control buttons which allow you to do this. The best part is the forend light is recoil proof so you don’t have to worry about your light shining away from your target as you’re firing at it. Most versions of the Surefire Forend Light cost a few hundred dollars. But you can rest assured that it has a long lifespan because the interior is completely sealed off which means no dirt or moisture can get inside and cause problems. 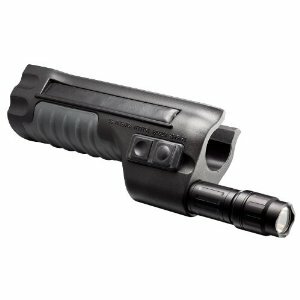 If you like tactical shotgun use, then the Surefire Forend Light is a worthy investment to make. 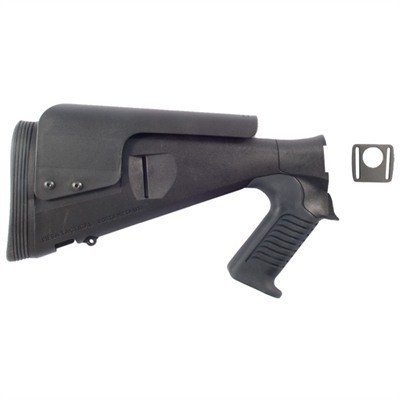 If you are looking for a comfortable and durable stock to upgrade your existing Remington 870 shotgun with, then the Hogue Overmolded Stock will give you the best of everything. Hogue is famous for using fiberglass reinforced polymer molds for its stocks because they are very durable and resistant to all kinds of weather conditions. Not only that, the stock has a Hogue rubber finish that is smooth to the touch and will help you stabilize your shotgun so that you can perform accurate shots. You will find the grip of the stock is not slippery which means that sweaty hands and rainy weather won’t cause the stock to slip out of your hands. Furthermore, it will be completely comfortable to hold at all times and has a standard length of pull of 12 inches. There is even a cushioning buttpad which softens the effects of the recoil while firing. The best part is that the stock caters to both left-handed and right-handed shooters, thanks to its ambidextrous style palm swell. The Hogue Overmolded Stock comes with a matching forend that is made out of the same reinforced polymer with Hogue rubber finishing. 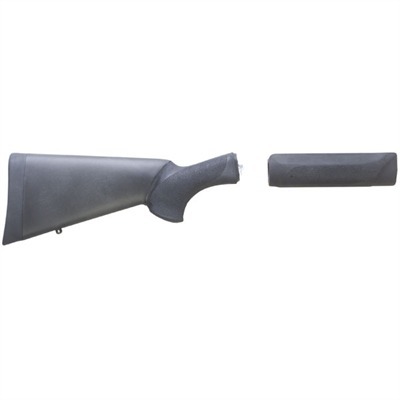 The total price of this stock and forend package for the Remington 870 is $55.45. If you purchase it on Amazon.com then you will get free shipping. The Magpul SGA Stock for the Remington 870 may be a tad pricier at $109.95 but it is definitely worth the money if you want a reliable and durable stock. For one thing, it is an ambidextrous stock which allows you to adjust the length of pull to one that you are comfortable with. This kind of adjustability is not available with the factory stock that comes with the Remington 870. Other features of the Magpul SGA Stock include great ergonomics of the rip, a buttpad for recoil reduction, and cheek risers that are optional (which are great to use if you’ve attached raised or optical sighting to the weapon). The weight of the stock is approximately 1.5 pounds. The length of pull can be adjusted from 12.3 inches to 14.3 inches (which comes with two spacers that are already installed). The width of the buttpad is 1.5 inches and the length is 5 inches. The Magpul SGA Stock can be purchased directly through the Magpul website. You can get the stocks in colors like black, orange, or flat dark earth. You will be happy to know that all Magpul SGA Stocks are made in the United States of America to ensure they are top quality. 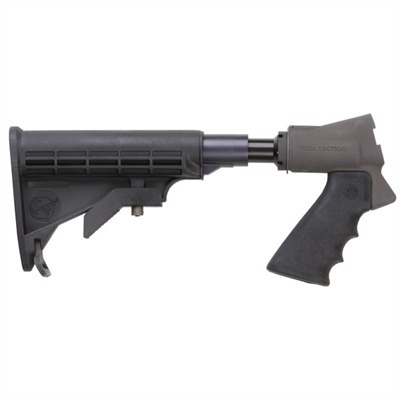 If you’ve ever experienced the stock of an M4 carbine then you will appreciate upgrading your Remington 870 shotgun with the Mesa Tactical Telescoping Stock. Installing the stock is simple because you just take off the factory stock and attach this collapsible stock in its place. The elevation of the stock is slightly lowered so you can have room to add bead sights or iron sights to it. The comfort levels of this stock cannot be emphasized enough. It has an adjustable length of pull to fit shooters of all sizes and it is overmolded with a Hogue rubber pistol grip. The grooves and palm swell features will ensure that you maintain a secure grip on your weapon at all times. Furthermore, there are other versions of this stock that are made for recoil reduction so that you can stabilize the shotgun better and inflict more accurate shots. The aluminum material of the stock is made to be lightweight and durable at the same time. It has a matte finish and can fit any 12-gauge Remington 870 shotgun. At a price of just $69.99, you can purchase the stock directly from the Brownells website and have it shipped out on the next business day. Those who like a shotgun stock with a smaller length of pull for better comfort will certainly love the Mesa Tactical Urbino Tactical Stock. This is the perfect upgrade to make for your Remington 870 because its urethane rubber grip provides excellent comfort for your hands. The texture of the grip is made specifically for secured grips too. Also, the stock’s Limbsaver buttpad will greatly reduce the recoil that you will feel when firing your weapon. The only things it is not compatible with are pocket sling adapters. Do not worry because there are 1.25-inch sling loops in the rear of this stock to use for your slings. 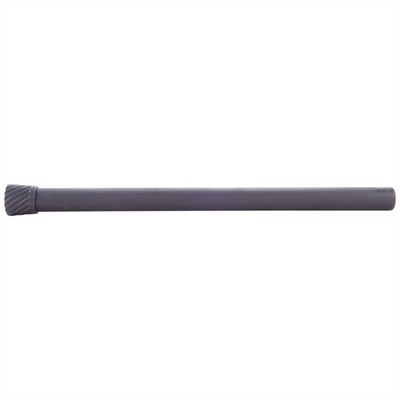 Mesa Tactical Urbino Tactical Stock is made of polymer and comes in a black color. You can use it with any 12-gauge Remington 870 shotgun. The length of pull is 12.5 inches so it should accommodate most shooters out there. The cheek riser can be adjusted to 5 different positions for optimal cheek comfort. Just note that some versions of the Mesa Tactical Urbino Tactical Stock do not come with cheek risers so make sure you look for the ones that do if that’s what you want. The price of the Mesa Tactical Urbino Tactical Stock is about $119.99 and it can be purchased through many websites. The factory safety button on the Remington 870 shotgun is rather small and can be difficult to press when you’re in a tense situation that requires you to engage or disengage your safety quickly. That is why the Wilson Combat Jumbo Head Safety by Scattergun Technologies is the perfect safety upgrade you can make to your shotgun. This oversized safety button will be easy to press in a hurry so that you can perform the action you want quickly. It doesn’t even matter if you have gloves on or not because you will still be able to press this safety button with ease. The replacement process of the safety button is fairly simple. Once you take apart the receiver and remove the factory safety button, you just drop-in the new Jumbo Head Safety in its place and then reassemble the weapon. 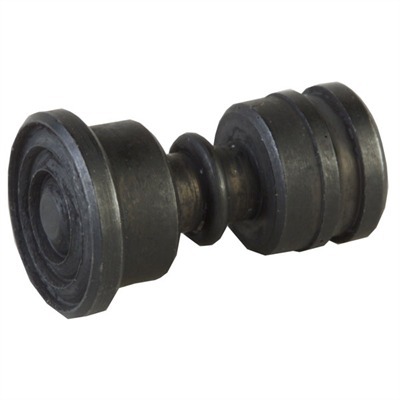 The button itself can survive the toughest environments as it is made of 4140 steel and has been hardened to last a long time. The button doesn’t even stick out much either so it won’t get in your way while using your shotgun. The only downside is that it accommodates right-handed shooters only. The price of the Wilson Combat Jumbo Head Safety is $18.99 and can be purchased right over the Brownells website. 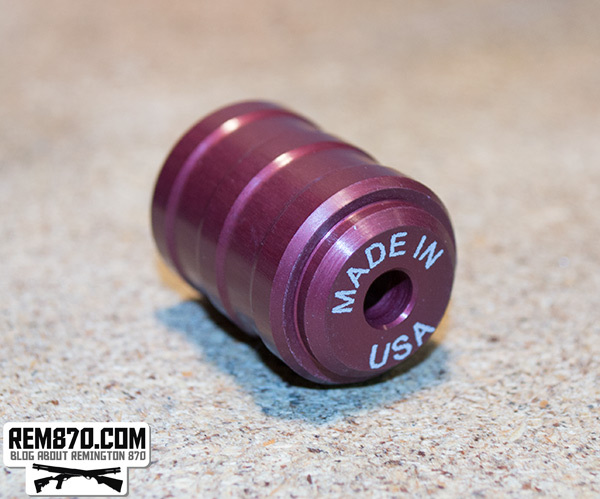 The Vang Oversized Safety button is a good investment for those who want to replace the factory safety button of their Remington 870 with one that is easy to locate and disengage. What is particularly unique about the Vang Oversized Safety button is that it has a dome-shaped top that makes it very easy to find when you’re in a hurry. Then all you need to do is briefly move your trigger finger over to the side and lightly press the button to have the safety disengaged. Furthermore, the dome-shaped top of the button ensures that you won’t get the safety caught on your clothes or the liner of your gun case. 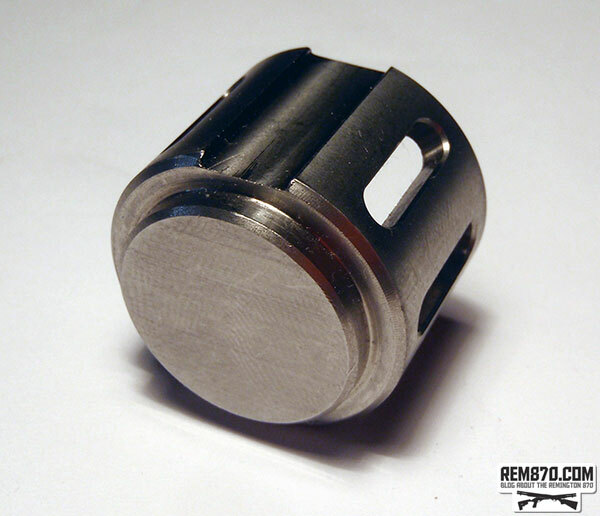 To install the Vang Oversized Safety button, all you must do is remove the receiver from the shotgun, take out the old factory safety button and then put in the Vang Oversized Safety in its place. The simple drop-in installation means you don’t have to screw anything in or do any other complicated installation procedures. Just drop in the new button and then reassemble the weapon. Some downsides are that the button is made for right-handed shooters only and that it tends to stick out too far from the receiver. With the button being .960 inches long and the head is .350 inches in height, you might find it too big. But, at the same time, bigger is better when it comes to safety buttons. At only $11.99 on Brownells, you can’t go wrong with this upgrade for your Remington 870. 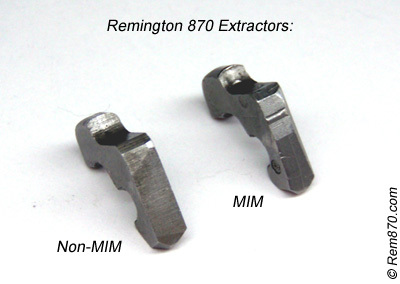 The non-MIM extractor is a machined extractor for the Remington 870 shotgun that is known for its reliability when it comes to extracting used shells after they have been fired. It is important to have reliability where shell extraction is concerned because it reduces the chances of a shell getting jammed, which would not allow you to take another shot until you fix the problem. The Remington 870’s factory extractor is an MIM extractor and tends to be highly unreliable, Furthermore, it has been known to break very easily which will then force you to purchase a new extractor anyway. In this case, you mine as well purchase a non-MIM extractor to replace it with. These non-MIM extractors are little more expensive than MIM extractors but they are still cheap in the long run. The typical non-MIM extractor will cost around $17.99 on gun parts websites like Brownells. If you were to purchase an MIM extractor to replace the factory MIM extractor, it may cost you only $10.99. But, for that extra $7.99, it is certainly worth paying it just to have the enhanced reliability and durability of the extractor. This reliability is the reason why law enforcement uses non-MIM extractors in their Remington 870 Police guns. If you’re in a situation where it is critical for you to be able to shoot quickly, then a non-MIM extractor upgrade is necessary for your Remington 870. This Remington 870 18-inch barrel with a fixed improved cylinder and front bead sighting is the perfect replacement to make for your factory Remington barrel. It is made specifically for all Remington 870 receivers so you are guaranteed that it will fit perfectly. And because it has an improved cylinder, it will make your shotgun good for shooting at targets that are between 20 yards and 35 yards away. This will typically be suitable for hunters who want to shoot at game up close or even for homeowners who merely want to defend their property and their family. The bead sighting on the front of this 18-inch barrel is the standard type of sighting you can expect on a Remington barrel replacement. But if you prefer to have a different type of sighting, such as tritium and light gathering, then you can replace the bead sighting with one of these more advanced ones. And since the barrel is short at just 18-inches, you can easily maneuver it around and carry it through small places with no problem. The price you can expect to pay for this 18-inch barrel is $139.99. You will find it available on the Brownells website. There are also other versions of this barrel that are a little longer and a little shorter. Most will have a 3-inch chamber and be suitable for either 12-gauge or 20-gauge shotguns. 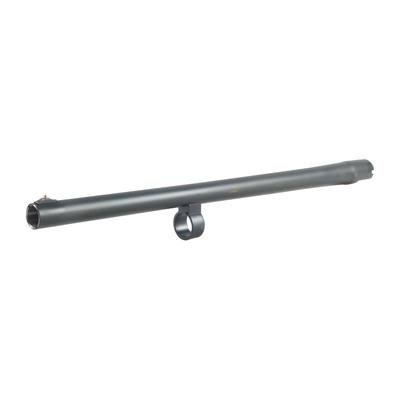 If you prefer to have a longer barrel on your Remington 870 shotgun, then you’ll want this Remington 870 28-inch vent ribbed barrel with a REM choke and a middle bead front sight. This upgrade is perfect for long range shooting with your shotgun, especially if you’re hunting deer in the woods and you want to stay a good distance away from it while shooting. It is also suitable for target shooting as well. The barrel has an interchangeable choke, 3-inch chamber, blue finish, and made out of steel to ensure its durability. It is compatible with all Remington 870 12-gauge shotguns. Many people love the fact that they can switch chokes in order to control the constriction of the barrel’s bore. That way, the spread of their shots can be controlled to accommodate different types of shooting. The price of this barrel tends to fluctuate, depending on where you purchase it from. 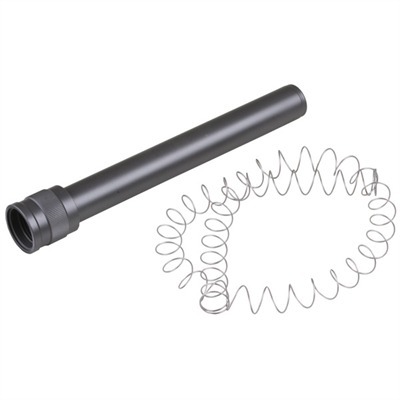 The cheapest version of this barrel available is currently priced at $206.99 on the Brownells website. You may find it advertised as being suitable for the Remington 870 Wingmaster but you can also use it to replace the barrel of your standard Remington 870 as well. As long as it is a 12-gauge, you should not have a problem. Police officers have certain needs when it comes to their Remington 870 shotguns. The barrel they use for their Remington 870 will typically need to be shorter at just 18-inches so they can maneuver it around easily. After all, when a police officer pulls out a shotgun, they are likely in a situation that requires them to act fast. This short police barrel with rifle sighting and an improved cylinder will certainly accommodate these intense and dangerous situations that they put themselves in. The rifle sighting and shortness of the barrel will make your Remington 870 suitable for aiming at your target accurately and shooting slugs at it. As you know, slugs are meant to shoot more accurately in one direction and not spread all over the place like buckshot or birdshot. Police like to use slugs for this reason. Otherwise, a spreading shot at closer ranges could result in innocent victims accidentally getting shot. 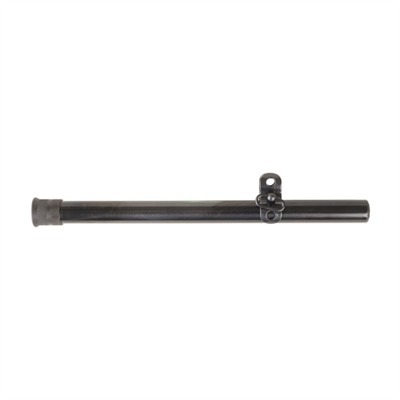 The price of this Remington 870 Police barrel is $169.99 and can be purchased right over the Brownells website. This upgrade will be compatible with any Remington 870 12-gauge shotgun. That way, you don’t have to upgrade to the Remington 870 Police version just to get the benefits of the police barrel. Instead, you can get these benefits right on your Remington 870 Express or Remington 870 Wingmaster. Carlson’s is a shotgun barrel manufacturer that produces some of the highest quality Remington 870 replacement barrels that you will ever find. They use 4140 certified grade steels to manufacture all their replacement barrels. This means you can take the barrel out in tough environmental conditions and it will not get easily damaged or rusty. Each barrel has a bore that is chrome lined. 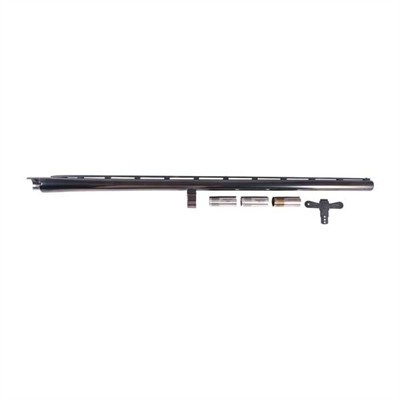 This particular 18.5-inch shotgun barrel with extra matte finishing has a front sight that is ramped and an interchangeable choke so you can conform to different types of shooting scenarios. For example, if you want to use your Remington 870 to defend your home then you will want to change the choke to one with more constriction. This will give you a tighter shot that does not spread as much. 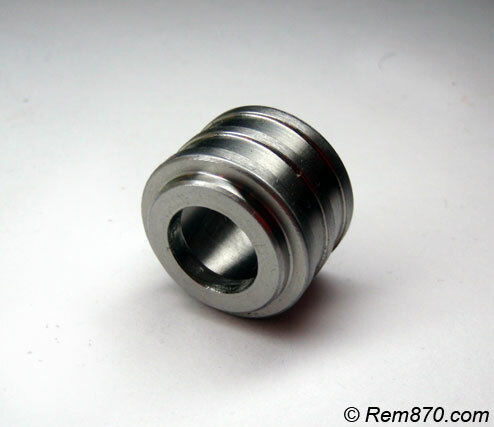 With the purchase of the barrel, you will get a cylinder choke tube included. There are different versions of this Carlson’s short barrel so the price depends on which one you get. The differences must do with whether the sighting is adjustable or non-adjustable. The average price range is between $150 and $220. If you don’t need to adjust the sighting then you can get the cheaper price at around $150. It all depends on your preferences. The Nordic Components Magazine Extension is made of 6061 aircraft aluminum material which makes it both lightweight and durable at the same time. That is why so many owners of the Remington 870 shotgun love to upgrade their existing magazine extension with this one because it hardly adds any extra weight to the weapon. Included with this magazine extension tube assembly is the extension tube nut, magazine tube spring, and the standard size end cap. The amount of ammunition that gets added to your shotgun will depend on the capacity of the tube that you purchase. Most Nordic Components Magazine Extension Tubes will increase the capacity by four rounds. These tubes are priced at around $75.95 which is a pretty fair price for a quality magazine extension tube like this one. Whether you are someone who likes to hunt or simply use your shotgun for home defense, this magazine extension tube will be very useful in either scenario. 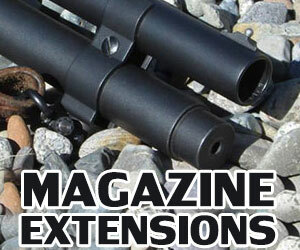 The installation process of this magazine extension will take just a couple of minutes using a few easy-to-use tools. You won’t even need to make any permanent modifications to your weapon either. That way, if you ever want to take the magazine extension back off and have the original factory configuration again, you have the option to do that. 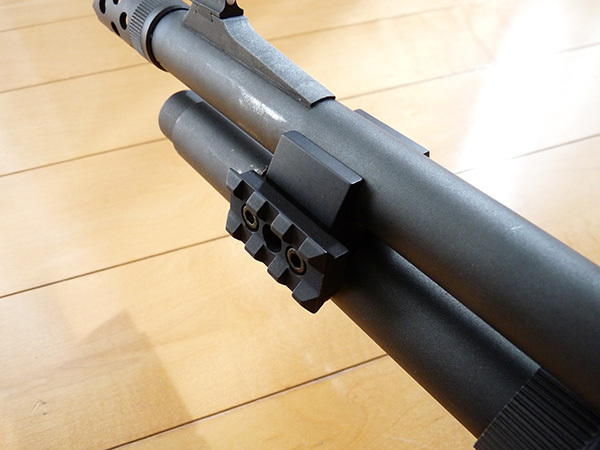 If the factory magazine extension on your Remington 870 shotgun is worn or damaged, then do not worry because you can purchase another Remington magazine extension that was made directly by Remington rather than by some third-party company. 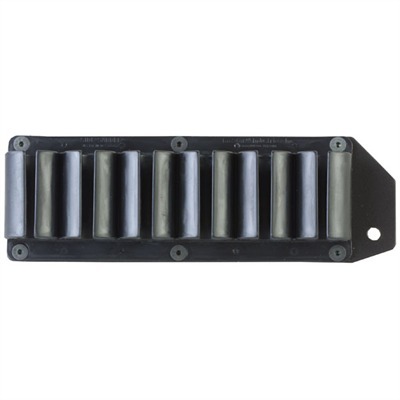 This will ensure that the new Remington magazine extension meets the exact specifications necessary for installation and is made out of the same materials as the original magazine extension that came with your shotgun. That way, the installation of the new magazine extension will not be a problem and it will guarantee that it will work properly and reliably. The typical Remington magazine extension will add between 2 to 3 extra rounds of ammunition to the magazine’s total ammo capacity. If you have an 18-inch barrel on your shotgun then you will need an extension that adds 2 extra rounds. If you have a 20-inch barrel on your shotgun then you will need the extension that adds 3 extra rounds. 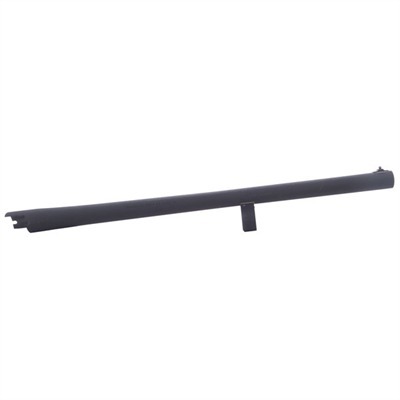 The price of the Remington Magazine Extension is around $53.99 and you can purchase it from most sporting goods websites on the internet, such as Brownells. The price should be pretty much the same for both the +2 extension and the +3 extension. 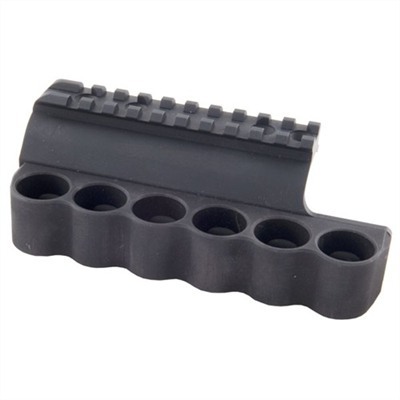 The TacStar Magazine Extension is one of the most durable and reliable magazine extensions for the Remington 870 shotgun that you will find. It is made of 100% solid steel and seamless steel tubing which enables it to survive tough environmental conditions like wind, rain, snow, and so on. And if you are in a combat like situation where you might drop your weapon accidentally, this steel magazine extension tube will be just fine. You will be able to increase your ammunition capacity by up to 5 rounds with this extension. You don’t even need to be a gunsmith to learn how to install the extension either. 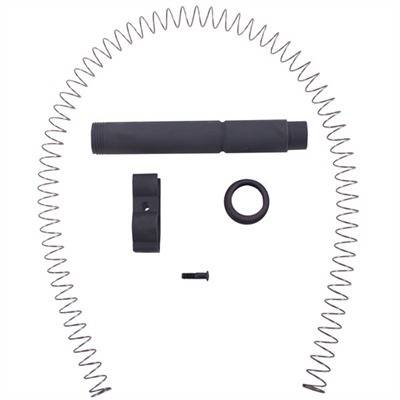 All you need to do is connect the extension to the end of your current magazine tube using the extended magazine spring that comes with the extension and the barrel clamps which are sold separately. There are two versions of the TacStar Magazine Extension available. The first version costs $49.99 and can add 2 extra rounds to your ammo capacity. The second version is $50.99 and can add 3 extra rounds to your ammo capacity. As for the barrel clamps for the Remington 870, these will cost about $11.99 extra. The clamps are optional but you may like them because they will help stabilize your extension tube and it even has a swivel stud that is built into it for sling compatibility. 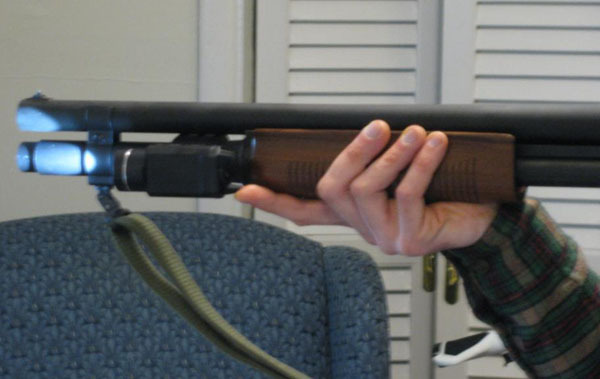 The Choate Magazine Extension only takes one minute to install it onto your Remington 870. All you do is remove the magazine cap screw that is currently on your weapon and then replace it with the threaded extension tube. 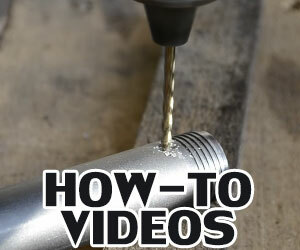 This extension tube is a screw-on tube so you don’t need to be an expert in gunsmithing to add this extension. And to ensure that the extension is securely placed onto the barrel, the Choate Magazine Extension comes with a swivel clamp to give it that added support. This will increase the stability and accuracy of the weapon tremendously. The clamp will also allow you to mount a sling or strap to it too. If you are an avid hunter or target shooter then you can’t go wrong with upgrading your Remington 870 with a Choate Magazine Extension. You’ll never know when you’ll need that extra ammo capacity to fire away at a moving target. The Choate Magazine Extension is available in numerous versions that give you a different capacity. Generally, you can find these extensions available from +3 capacity all the way to +10 capacities. The average price for all of them is $49.99 so the extra rounds don’t seem to affect the price all that much. The Mesa Tactical Sureshell Shell Carrier is the best attachment to have to your Remington 870 shotgun whenever you’re in a situation where you need to grab ammunition quickly. This shell carrier is made of aluminum which allows it to be lightweight and durable at the same time. It is compatible with any 12-gauge Remington 870 and typically gets attached to the left side of the weapon’s receiver. This allows for easy access with your hand. The shotshells are stored inside an elastomer rib which ensures that each shell will be held securely in place. This is great to have if you are in rough situations that require you to perform a lot of aggressive movements because the shells will stay inside the rib of the shell carrier. Not only that, but heavy recoil will not be a problem either because of this elastomer construction. The installation of this shell carrier will require either a Picatinny rail or side mount configuration. Everything you will need to perform the installation is included with the shell carrier such as the instruction manual, tools, and any other hardware needed. These shell carriers come in different capacities such as 4-round, 6-round, and 8-round. The 4-round and 6-round are priced at about $59.99 and the 8-round is priced at $79.99. The TacStar Shell Carrier is a sidesaddle which can hold your Remington 870 shotgun shell ammunition right next to the weapon’s receiver. The rough backing plate is made out of aluminum so that it remains strong without adding hardly any weight to your weapon. The shell carrier itself is constructed with a special polymer material that is resistant to corrosion and virtually unbreakable to tough impacts. This means if you were to accidentally drop your weapon onto its carrier then you don’t have to worry about it breaking or anything like that. The best part is that you don’t need to be a gunsmith to mount the shell carrier to the Remington 870. If you know how to tighten screws then you have the ability to perform this installation. Just in case, the shell carrier comes with instructions that will further explain the exact steps of the installation process to you. Once the shell carrier is installed, you will have a reliable shell holder where you can pull shells out quickly whenever you need them. The price of the TacStar Shell Carrier is $27.75 and it can be purchased at a number of online retailer websites including Amazon. Although this shell carrier’s polymer may not be as strong as metal, it is good enough for most situations and the price is a lot more affordable too. These shell carriers currently come in black. The Vang Comp Systems Detachable Shell Carrier will give you as many as 6 extra shells available on your Remington 870 shotgun whenever you need them. The carrier itself has an aluminum side plate which gets installed onto the receiver securely. All you need to do is use the trigger pins which come with this shell carrier in order to perform the installation of the plate. Then, you can easily attach the shell carrier onto the plate with a hook-and-loop type system of attachment. The inner loops that hold the shells contain elastic webbing which is made specifically for securing the ammunition in place while the weapon is in motion. Even if it is raining or the environment you’re in is moist, the shells will never slip out of their carriers. The Vang Comp Systems Detachable Shell Carrier is made for use with the 12-gauge Remington 870 shotgun. To make sure you know which receiver you are using, the mountain plate included has a cut out opening which allows you to view the serial number of the receiver that is underneath it. There are two versions of this shell carrier available. There is the standard version that is priced at $79.99 and the deluxe version that is priced at $96.99. The deluxe version comes with an additional shell carrier at less than $20 more than the standard version. 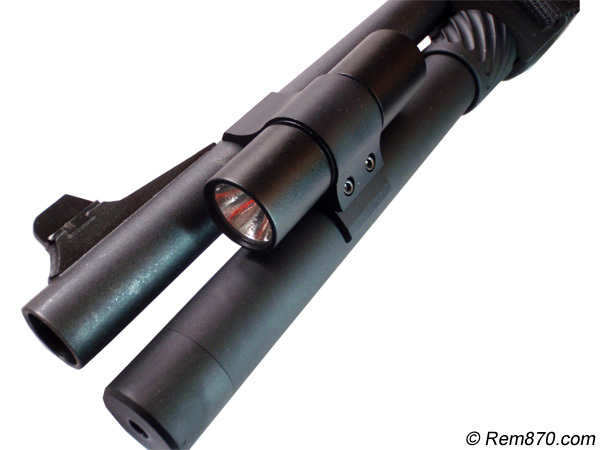 Flashlight mount is an inexpensive way to add flashlight to your Remington 870 shotgun. The best mounts on the market are made by CDM Gear, they are sturdy and lightweight. You can choose one of the many tactical flashlights to install together with one of the CDM Gear flashlight mounts. Two of the most popular mounts are CDM Gear MOD-C and CDM Gear BMT (with rail). BMT mount come with rail. It is designed to be used with rail-mounted flashlight like Streamlight TLR-1 (flashlight) or TLR-2 (flashlight laser combo). The CDM Gear MOD-C Flashlight Mount is an affordable solution for adding a flashlight mount to your existing Remington 870 shotgun. At just $50.15 with free shipping on Amazon, you will get a flashlight mount that is small, lightweight, and made of hard coated aluminum. And when we say lightweight, we mean that this mount is only 1.8 ounces. You won’t even feel a difference after adding it to your shotgun. The only weight you’ll have to worry about is the weight of your flashlight, but even they come in light weight designs too. The flashlights which fit into this mount must be 1-inch in size. The mount gets placed in between the magazine tube and the barrel of the shotgun. That way, your peripheral vision will not be impacted when trying to aim your weapon with the mount attached. Its 6061-T6 aluminum is one of the most durable types of aluminum and it will ensure that you don’t break or crack it while engaging in aggressive situations. You only need one bolt and one tool to attach or detach the clamp of the mount to the weapon. This process will only take a couple of seconds and it is simple enough for anyone to do. You don’t need to be a gunsmith or experiment in weaponry to understand this installation. The CDM Gear BMT Flashlight Mount with Rail comes with a variety of features. For one thing, you have the option of choosing either a 3-slot rail or 5-slot rail. These rails come in handy in case you want to add more lighting to your shotgun besides just the initial flashlight. Some people even like to use the extra slots for laser sighting too. The grip pads that hold the flashlight or other lighting source are made of 3M polyurethane which will ensure the finish does not get damaged or scratched. Also included is a sling swivel cup that is nonrotational which you can use with QDPB sling swivels. The mount is very small so it will not get in the way of your targeting or aim in any way. For the basic 3-slot rail of the CDM Gear BMT Flashlight Mount, it will cost $51.38 with free shipping at Amazon. This is a good price considering how it is used by military and law enforcement officers on their Remington pump action shotguns. The flashlight mount even includes all the wrenches and tools you will need to perform the attachment, which is very simple to do. To attach the clamp, all you need is one bolt and one tool which comes with the mount. Tactical flashlight for a shotgun must be able to withstand heavy recoil. Some of the tactical flashlights work good on rifles and handguns but going to be destroyed under shotgun recoil. That is why you need to be careful when choosing tactical flashlight for a shotgun. Flashligt/laser combo looks cool but it doesn’t make aiming as easy as in movies. The Streamlight TLR-1 Rail Mounted Flashlight has everything you would want in a flashlight for your Remington 870 shotgun. It provides strobe lighting at 300 lumens and runs on lithium batteries which can be recharged after they run out. You should be able to get 2 ½ hours out of the battery before it needs to be recharged. This will save you lots of money on having to purchase batteries like in some flashlights which don’t use lithium batteries. The Streamlight TLR-1 is impact resistant so that it can sustain tough blows or weather conditions. It can even survive in up to 1 meter of water for approximately 30 minutes and still be fully functional when it comes out of the water. Unless you are going swimming with your shotgun, you shouldn’t have to worry about water whatsoever. Things like rain and moisture will not damage your flashlight if it is exposed to it. Best of all, the mounting of the flashlight will not impact your sighting or accuracy at all. The cost of the Streamlight TLR-1 is $112.49 on Amazon and it will come with free shipping too. This flashlight version comes with three lighting modes. You can choose wide beam illumination, long distance illumination, or close-up and distance illumination. The Surefire G2X or G2L Tactical Flashlight produces 200 lumens of lighting and it should last consistently for 2 hours before it needs to be recharged again. The beams which come out of the flashlight are smooth and clear, thanks to its micro-textured precision reflector. The LED emitter inside the flashlight will provide the brightest lights possible and the longest life possible for the battery. The exterior of the flashlight contains a durable Nitrolon polymer material which feels smooth and comfortable. However, it also provides a secure grip while being resistant to many environmental conditions such as corrosion, abrasion, and scratches. With this kind of resistance for your flashlight, it will be a great way of upgrading your Remington 870 into a tactical weapon. If you are a military or law enforcement officer, then this goes double for you. The price of the Surefire G2X or G2L is priced at about $69.99 on average. This is for the black colored version of the flashlight. There are also green and yellow versions which cost $10 to $20 more but they still provide the same results. Some people might like the green version if they are hunting in the woods and want it to be disguised. Otherwise, the black version is the most suitable. The FAB Defense Speedlight Tactical Flashlight is 1-inch in size and can project white light up to 378 lumens. This brightness can be achieved with just one CR123A lithium battery that has 3 volts. You can leave the light on continuously for more than 60 minutes before the battery will need to be recharged again. The best part is the push button to turn on the light is ambidextrous so that it is comfortable for all types of people to push. 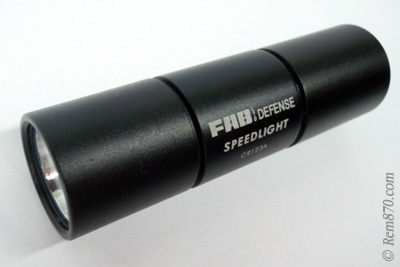 The FAB Defense Speedlight Tactical Flashlight has been constructed with aerospace quality aluminum and has been anodized to accommodate the specifications that the military would want in their flashlights. The LED assembly will ensure that you won’t have any broken bulbs either. If you are looking for a tactical flashlight upgrade to your existing Remington 870, it doesn’t get more tactical than this. But you don’t have to be a military or law enforcement officer to appreciate this quality. 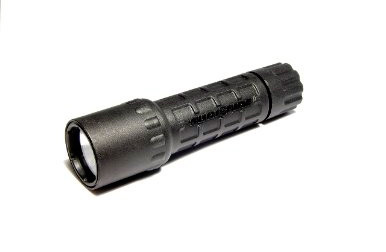 Even people who use their weapon for hunting at night or home defense will benefit from this flashlight too. The price of the FAB Defense Speedlight Tactical Flashlight is $87.20. Up until a few years ago, there was never a silencer made for a shotgun. Since shotguns are louder and more powerful, it didn’t seem like a silencer could ever be made for it. 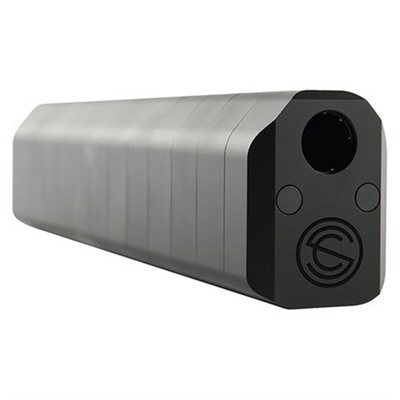 This all changed in 2014 when a company named “SilencerCo” introduced the very first shotgun silencer to the consumer marketplace called the “Salvo 12.” This is the first commercial shotgun silencer that was built through advancements gun technology and engineering. The great thing about the Salvo 12 is that it has been crafted to work with almost all types of shotguns and ammunition. It will even work with pump action shotguns and semi automatic shotguns as well. The reason why this silencer works with various models is because of its modularity. That’s right you can actually modify sections of the silencer to balance the amount of suppressed sound and to adjust to the right length and weight of your shotgun. There are choke mounts available as well to help you do this. Since the Salvo 12 can adapt to virtually any shotgun, it is the perfect silencer for hunting, self defense or target shooting. The total length of the Salvo 12 is 12 inches. 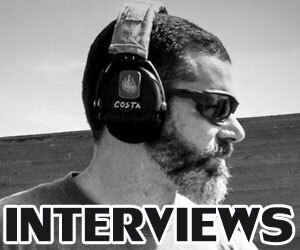 As for its sound suppression ability, sound from the shotgun can be reduced to 136.8 dB. According to the Occupational Safety and Health Administration, the threshold for safe hearing is 140 dB. Anything higher than that is considered to be dangerous for people’s ear drums. So this silencer brings the sound of shotgun blasts just below the safety threshold. On top of all this, you may also notice a reduction in the recoil that you feel after you shoot the shotgun with the Salvo 12 on the muzzle. Therefore, shotgun silencers are definitely something to try out because they definitely make the experience of shooting a shotgun more pleasant.